As I grew out of normal Transformers figures with age, I started collecting only the more high-end TF figures, and sold most of my older ones. Quality over quantity. 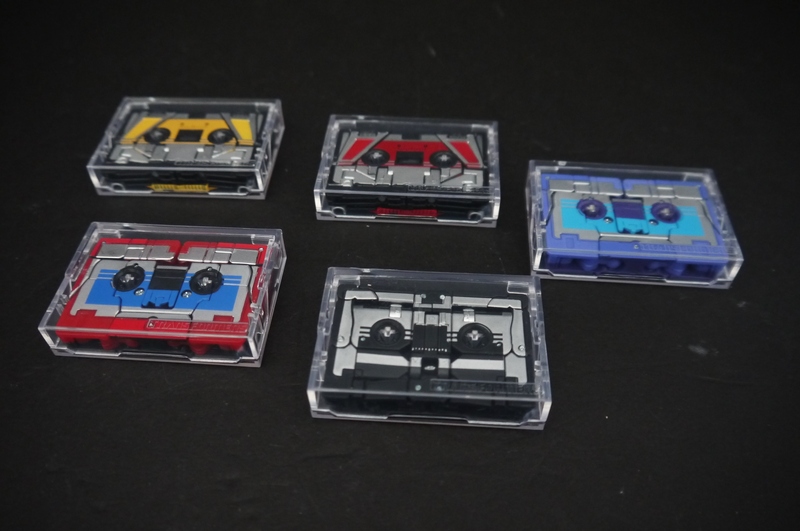 The Masterpiece line was a perfect byproduct of this new habit of mine, and while the line is still relatively small today (discounting recolors) I’ve only ever had 4 Masterpieces…two of which are the same mold (Starscream and Skywarp). I’ve been meaning to pick up more and expand the collection ever since, but the original Japanese Takara versions are stupidly expensive, and if the US Hasbro version is sold out of stores, then it’s also stupidly expensive online. 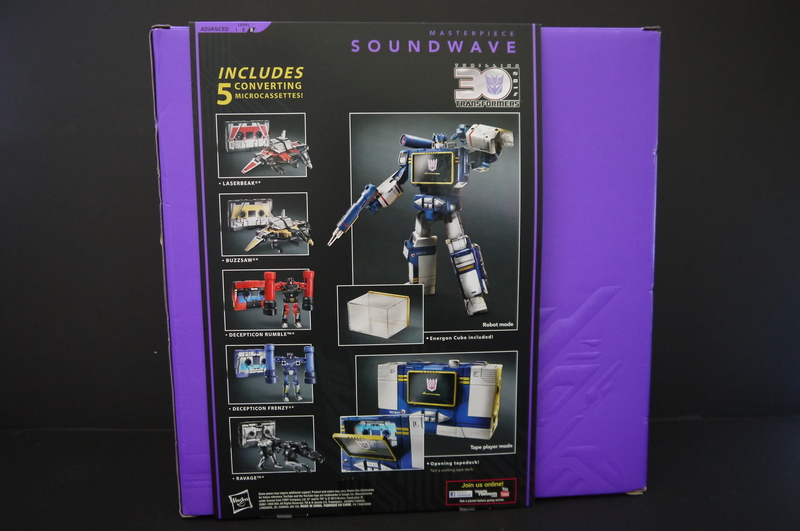 When Masterpiece Soundwave was announced by Takara, I had to have it…but then he only came with Lazerbeak, and the extra cassette sets were $60~ a pop. Ha. No. But then the US Version recently came out, less than a month ago, and apparently it was a Toys R Us exclusive. 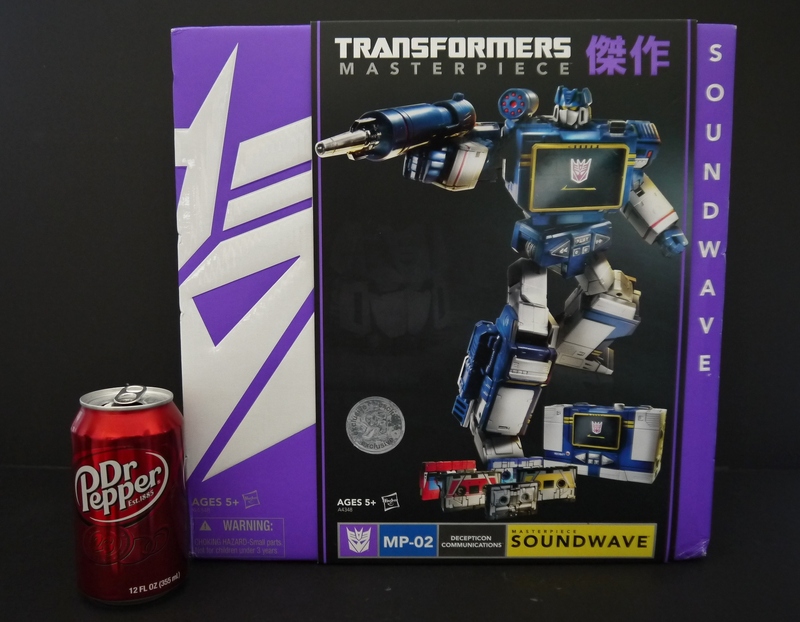 By the time I caught wind of this Soundwave was already out on shelves for a good week. And he was selling fast. 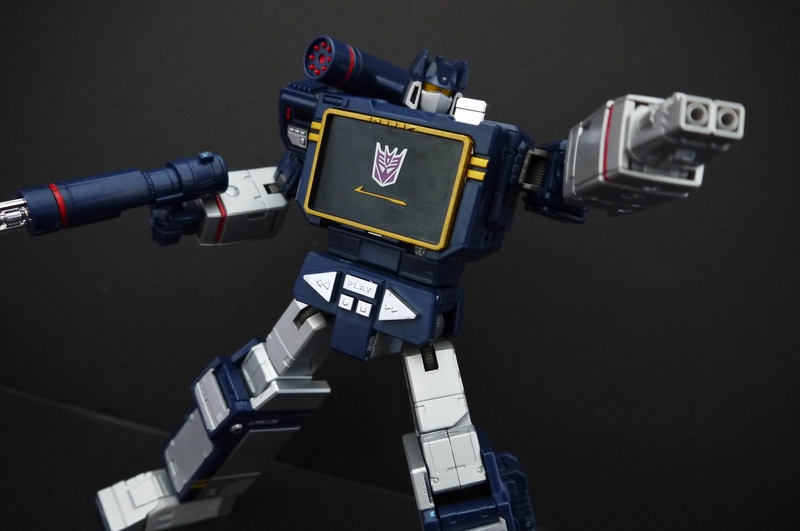 When I first heard of Soundwave online, and after I had confirmed that it was TRU exclusive, I immediately headed to their site and did a search for the figure. Sure enough, there it was, listed online for $119.99. The price was pretty good considering what you get in the package, but unfortunately online ordering was not available. (I heard sometimes they are, but the moments they become available are extremely rare and erratic, and only last for seconds at a time). Therefore, I went ahead and tried locating it at my nearest TRU…which did not have it in stock. The store’s number was conveniently listed, however, so for the first time in my life, I gave a toy store a call to find out if they had the item in stock. 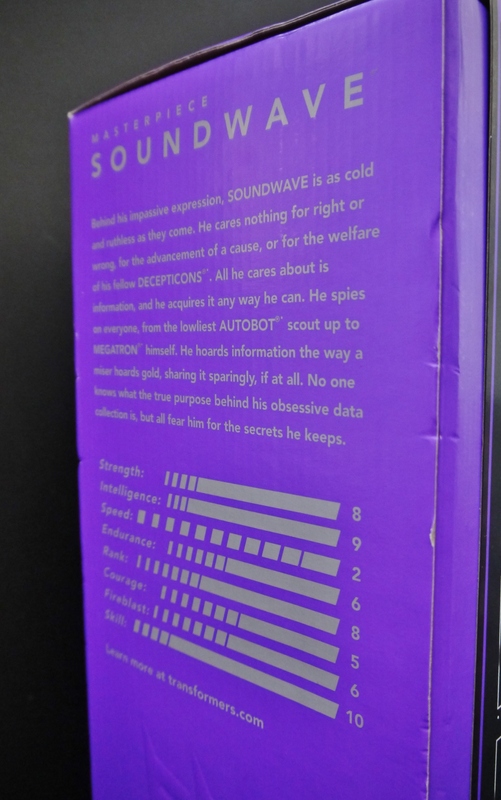 I didn’t even have to give the lady on the other end of the phone Soundwave’s item number – the moment I said, “Masterpiece Soundwave” she went “oh I know what you’re talking about.” Just goes to show how popular this particular toy is. I said okay, got really excited, and proceeded to call again on Monday, to which it was confirmed the next shipment would come in on Tuesday. 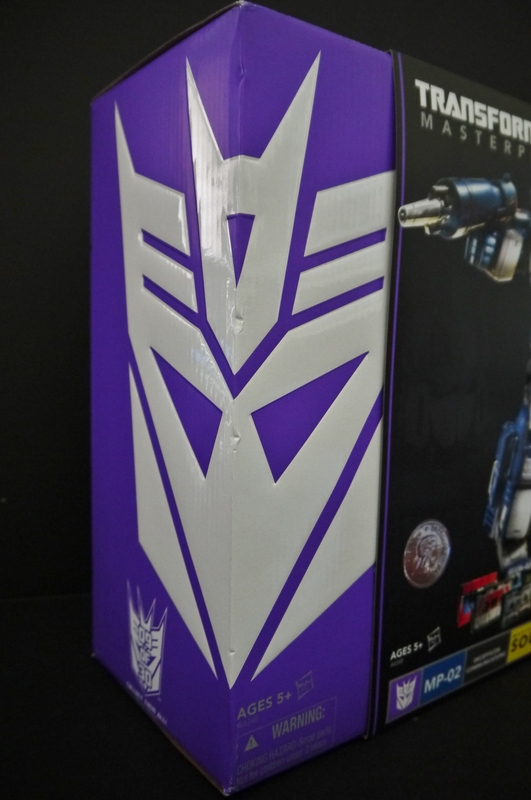 But there was no guarantee that Soundwave would be on that shipment. Still, I was desperate, so had to take risks. Come Tuesday morning, I dragged my ever-so lovely girlfriend out with me to wait outside our local Toys R Us at 9 in the morning (they open at 10) since I was convinced there would be a 9000+ people line outside by 8. When we got there, the place was dead. Not a car in the lot. After a brief scolding, we killed half an hour at the PetSmart next door oogling kitties. Came out at 9:30, waited in front of the door for another half hour until opening. By the time 10 o’clock rolled around, there were maybe three people waiting outside with us. None of them looked to be contestants for a Masterpiece Transformer though. Once the doors opened, I quickly rushed towards the Transformers aisle. Upon a quick scan through the shelves….it wasn’t there. I looked around in panic at first, but then another fellow came into the aisle right after me. 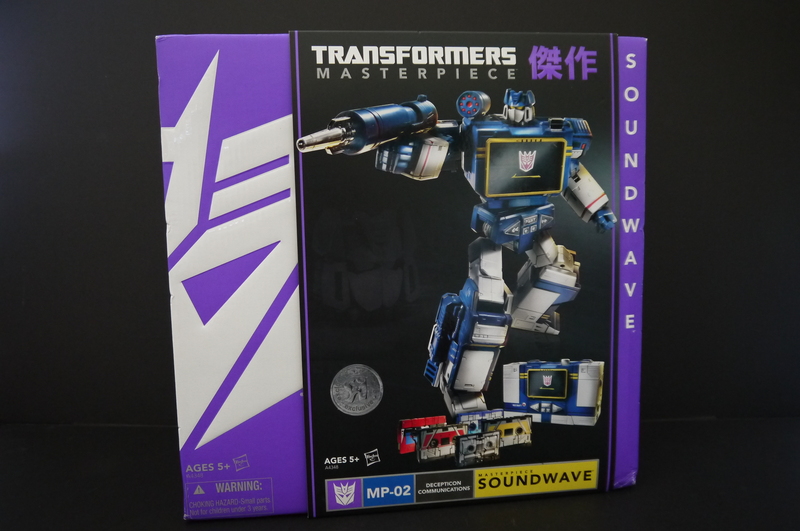 He looked me in the eye and asked, “You’re looking for Masterpiece Soundwave too? I think they might have them up front.” I was rather shocked at meeting a total stranger who coveted the same things I did, but nevertheless followed him up front, dragging my girlfriend the whole way. I stood behind the man in line, shocked and overcome with disappointment. As my girlfriend and I rested for a while at the coffee shop, I was still nonetheless extremely disappointed with the TRU turnout. 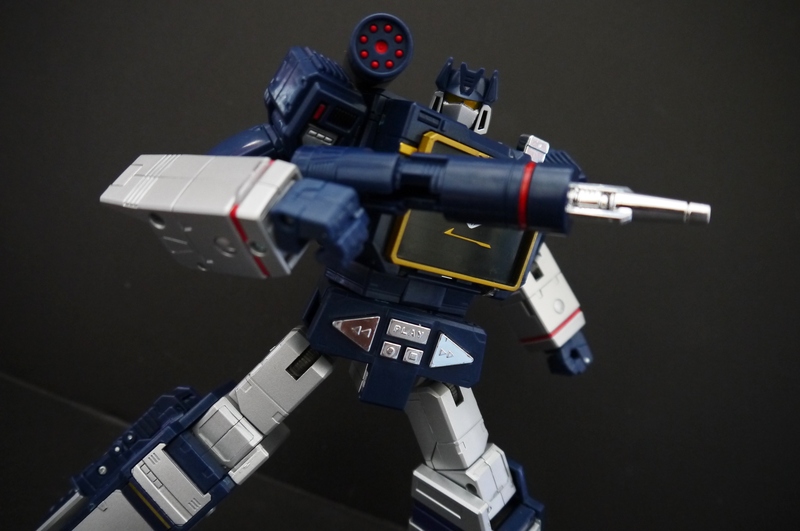 In desperation, I pulled out my iPod and proceeded to look up Soundwave on eBay. 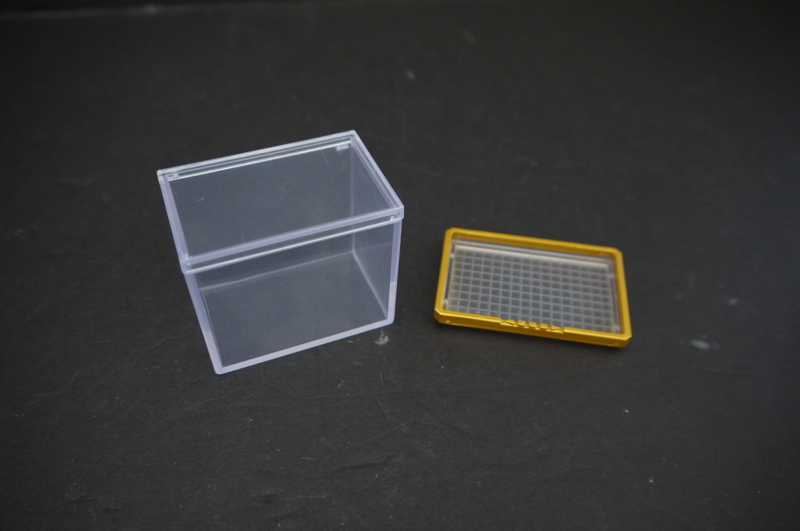 It had only become available recently, and isn’t completely out of stores yet, so it shouldn’t be too expensive online. I quickly found what I was looking for. Brand new, in box, never opened, Toys R Us exclusive. $160, free express shipping. Seeing the deal right there and then, I proceeded to buy it right there at Starbucks. Had to make up for the disappointment at TRU somehow. At the end of the day, I was content knowing I still got my grubby mitts on the desired objective, no matter the price paid or time spent. Just came in the mail today, very excited for it. First Masterpiece in as many months or even over a year. Can’t remember when I completed my Seeker collection with Thundercracker. And inside we get this rather unconservative cheap plastic covering. To be perfectly honest this amount of open plastic space isn’t really necessary, but hey whatever floats your boat Hasbro. I’ll admit this is much easier to take apart than what the Seekers were packed with. 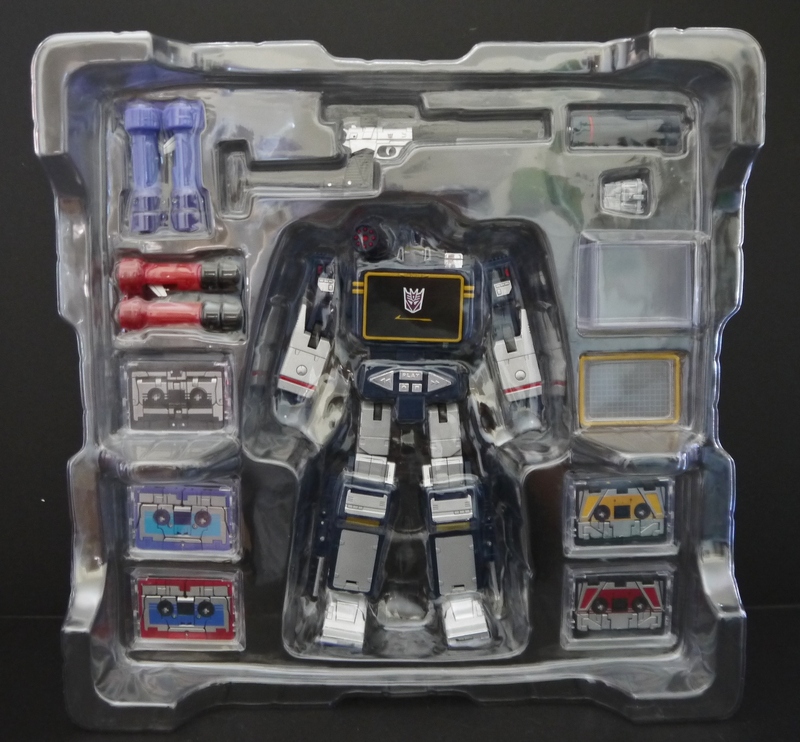 As seen above, Soundwave comes with a plethora of extra accessories and add-on options. Playing around with him a bit right out of the box. I’ve read up on a few reviews for this figure before purchasing and I have to say…it’s pretty amazing in what it delivers. The classic G1 design with some crazy detail, articulation, and gimmicks is something to be revered. Had to peace out to a student council meeting before I could get a chance to try out all of this guy’s features and transformation, but as of right now…that extra $40 was well worth it. Look forward to the review!